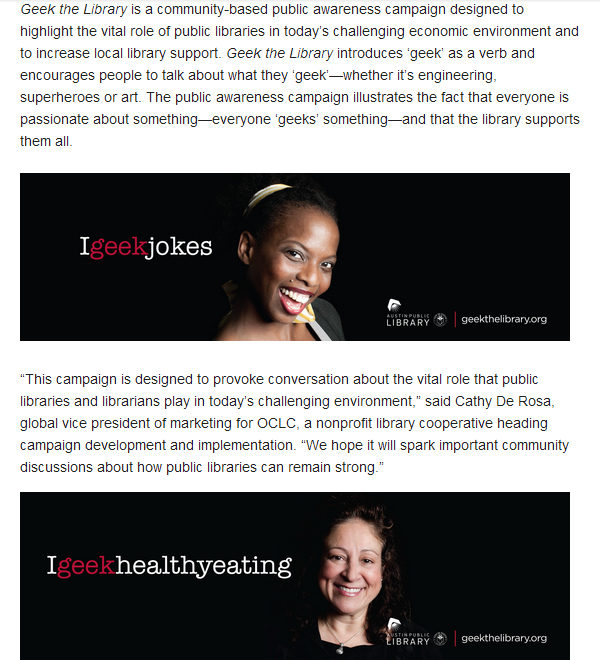 The Austin (Texas) Public Library has debuted an ad campaign that uses “geek” as a verb. I still recall when “geek” was a disparaging term; now it’s universally understood as a positive term. So as the Austin Public Library proposes, should the term geek also be used as a verb that effectively means “intensely like”? Should the new verb have a wide range of objects that include pretty much anything people could appreciate? As in: “I geek jokes” or “I geek healthful eating” or “I geek the United States Monroe Doctrine foreign policy of 1823″? It doesn’t sound right unless one is referring to something speculative. Or at least cult-following. One doesn’t “geek” about The Office or football, but geeking over graphic novels or Agents of Shield is totally cool. On a more serious note — I don’t mind occasional uses like this, but I would rather not see the term “geek” diluted until it merely means “fan” or “enthusiast” of anything under the sun. 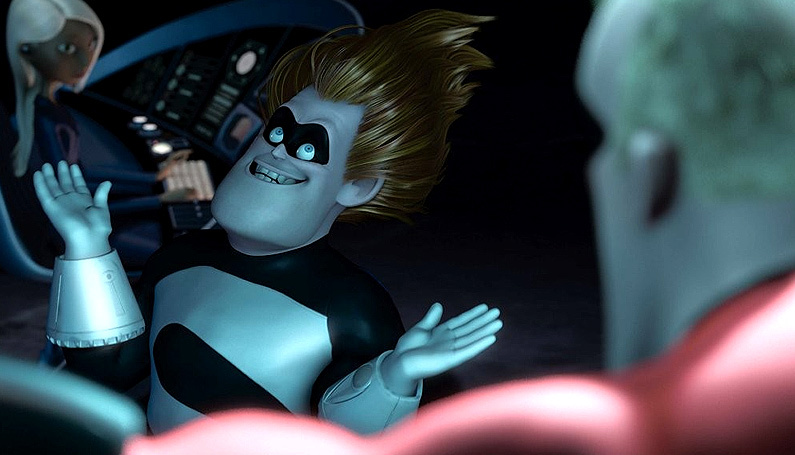 We’d have to come up with a new name for … well, for whatever I am … if that happened.